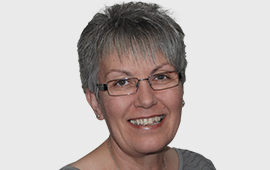 I joined Silks in April 2008 following a 30 year career in banking and became Practice Manager in 2016. As the Practice Manager I support the Directors to ensure the efficient and smooth running of the Firm. I assist the Directors in most aspects of practice management with a focus on Human Resources, compliance administration, and contract maintenance and facilities. As a champion of best practice I help to ensure compliance in accordance with the SRA Code of Conduct and Lexcel Practice Management Standard. Please pass on our very many thanks to Julia Alexander for dealing with our hand over of the will and deeds of the late XXXX. We enjoyed our chat with Julia.